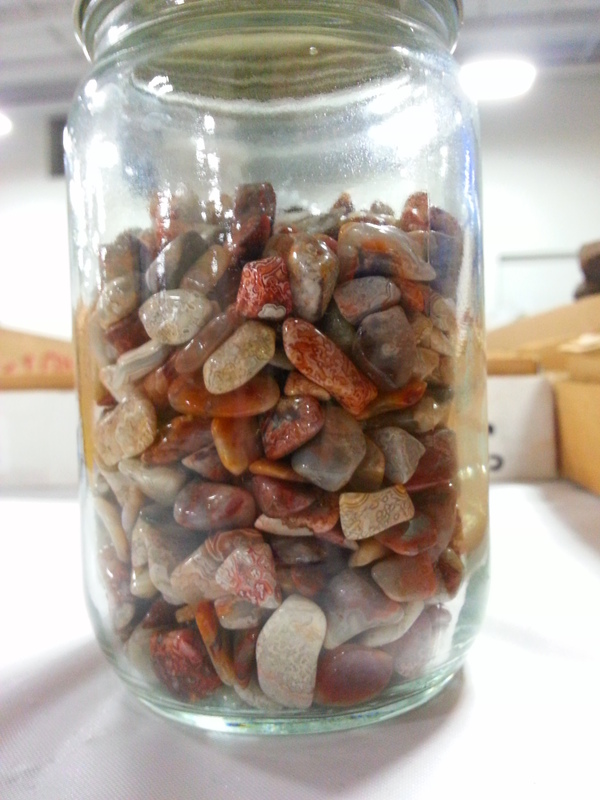 Places you can go to see and buy rocks, minerals, crystals, gemstones, fossils, beads, and much more. 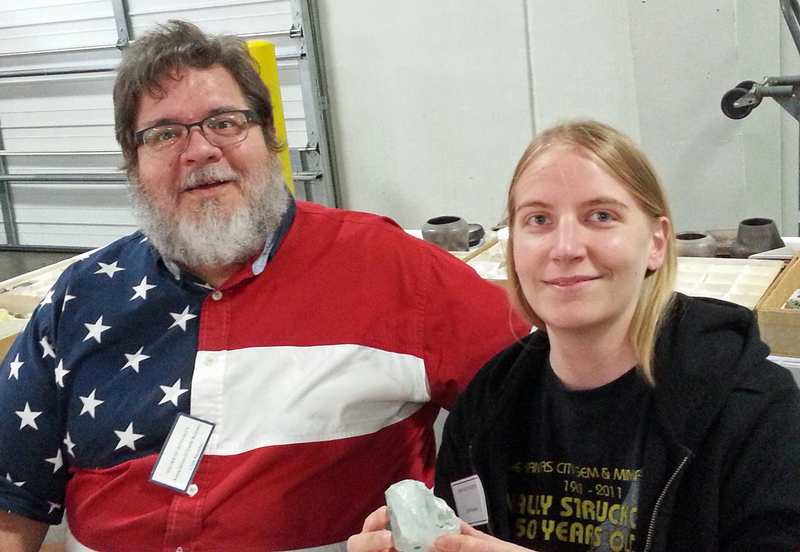 Come to the 50th annual Rock and Mineral auction in Rolla! It will support the C.L. Dake Geological Society and entrance is free. 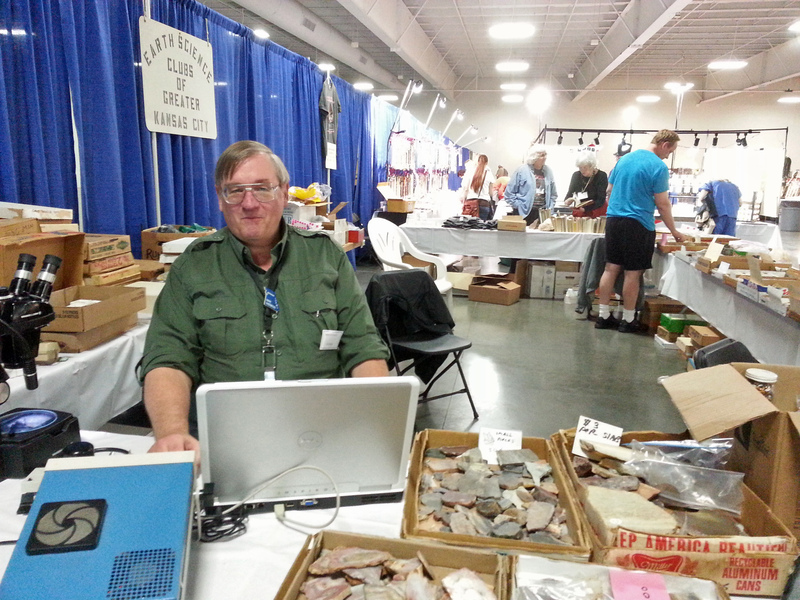 The Fall Kansas City Gem Show by Shows of Integrity will be November 4-6, 2016. The Association booth will be there as usual, staffed by Kansas City rockhounds who would love to see you! Click here for a flyer in PDF format that you can print or send to all your friends. I took way too many photos at the show and most of them were interesting, making it difficult to write this post. Without further ado, here are the highlights from the Spring 2016 Gem and Mineral Show. Here’s a coupon for $1 off admission to the Spring 2016 Gem Show. Tell everyone you got it from the Show-Me Rockhounds. To print, right-click on the coupon and click “Save Image As” and save it to your desktop. Then right-click on the icon on your desktop and click Print. 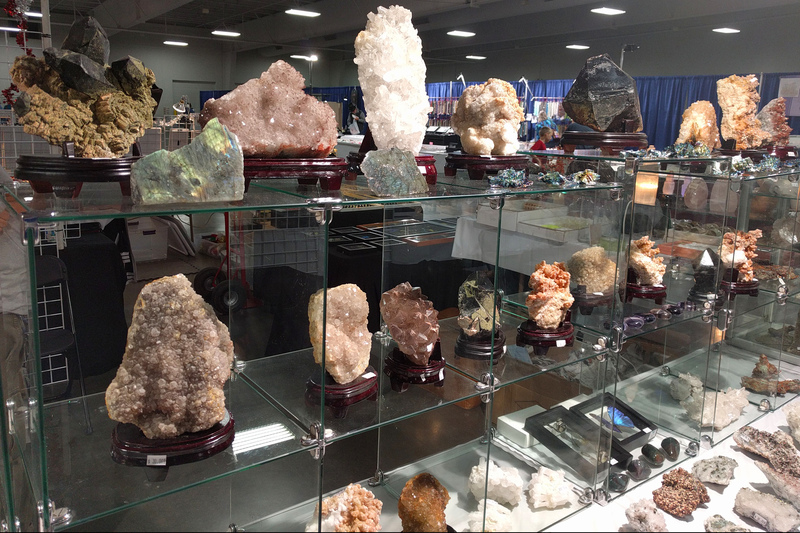 Mark your calendar for the Spring 2016 Gem and Mineral Show, sponsored by the Association. Here is a flyer in PDF format you can print or send to all your friends. 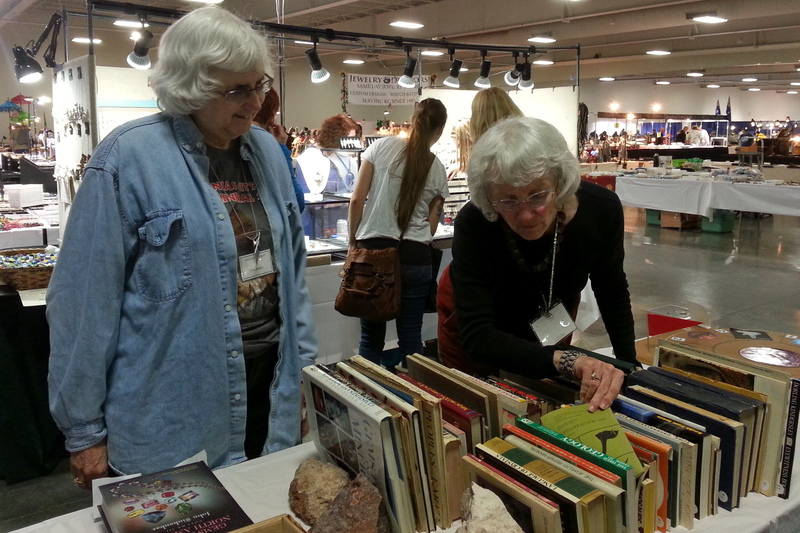 We had fun selling and buying specimens at the gem show. If you missed it, here are some of the things you can expect to find at a show. This year we sold books about rocks and where to find them, including the highly desired Gemstones of North America by John Sinkankas. 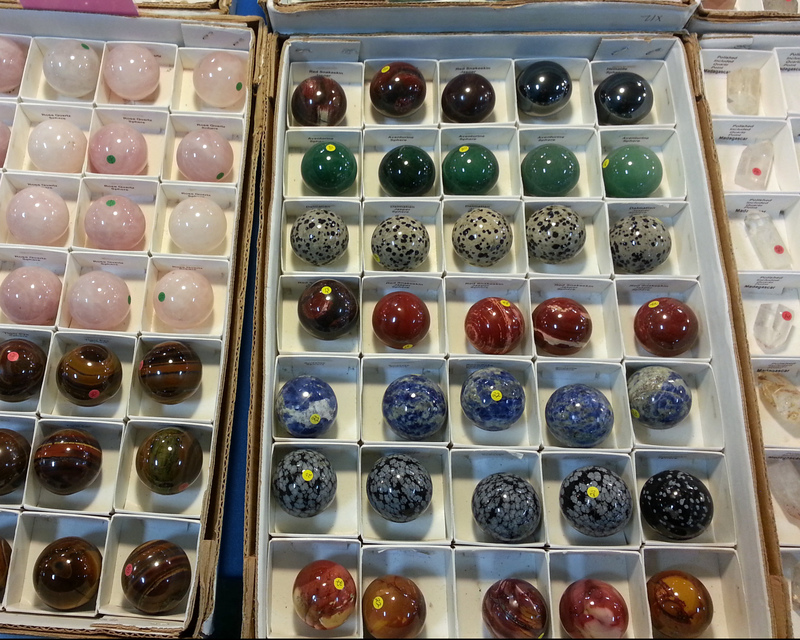 Polished spheres made of minerals from Dave’s Rocks and Carvings (Hamburg, MI). I see rose quartz, tiger’s eye, sodalite, and snowflake obsidian. Can you name all the minerals? Gem shows always have lots of jewelry for sale, usually organized by mineral. 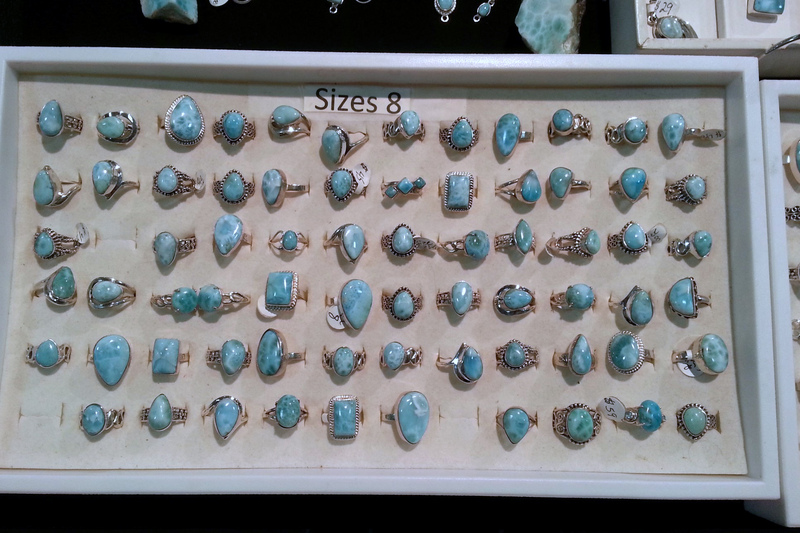 This is an entire box full of rings made with blue larimar sold by Manichia LLC (Kansas City, MO). Blue larimar is a type of volcanic pectolite found in the Dominican Republic. 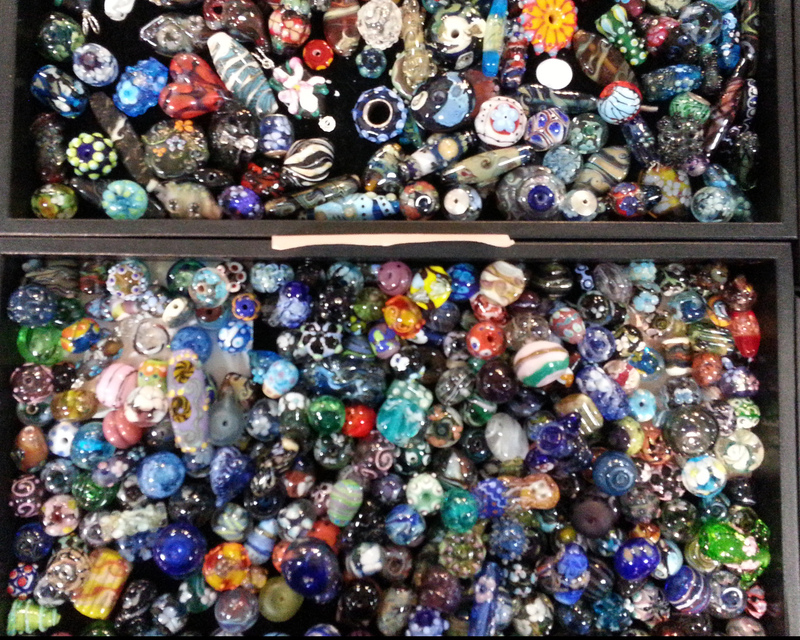 Glass beads for sale at Park Design (St. Joseph, MO). You can even watch the beads being made. They can also be found at the Three Trails Trading Post in Independence, MO.